Players are putting their chips in the bag and heading to bed for the night. 17 Players will return tomorrow at noon to battle it out for the $23,901 top prize. The players are now redrawing as we are down to the final 18 players. 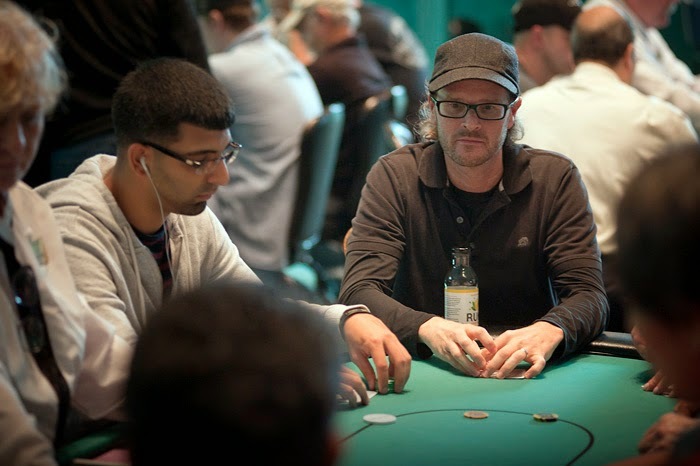 Among the final 18 are poker pros Tim Reilly, Tarun G, Nick Palma, and Mark Perry. Players have 18 minutes left in the 14th level and will be bagging at the completion of level 15. Event 16 is in the Money! After pausing the clock and talking about it, the final 12 players have all agreed to take $900 off of the top of the prize pool to pay out 12th,11th, and 10th. The next 3 players to be eliminated will be taking home $300 now. We are down to 14 players in the event 16 and with 9 making the money the bubble is near. The 47 players remaining have returned from dinner and play is back underway. 5 levels remain til the end of the night. Players are now on their 1 hour dinner break. When they return they will be playing out 5 more levels before bagging and tagging. 47 players remain! Action started with a raise to 1,800 from a player under the gun who was then three-bet by a player in middle position to 3,200. 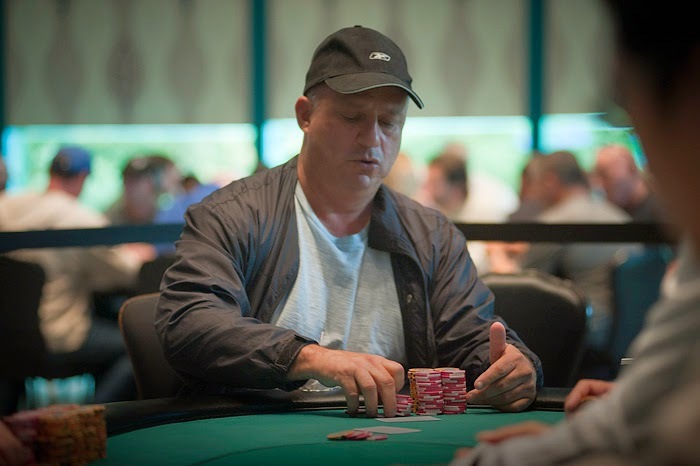 Action folded around to Tim "Wicked617" Reilly in the small blind who put in a four-bet to 11,000. The player under the gun thought about it for a few moments but eventually released his hand into the muck and action was back on the player in middle position. After counting down his stack once or twice he slid forward a pile of orange chips and announced all in. Reilly snap called and nodded his head when he saw his opponents [Qc][Qd]. He tabled [As][Kh] and we were off to the races. The board ran out [9s][10s][Kd][8s][5c] and much to the dismay of his opponent, Reilly would rake in the pot and is now sitting on over 65,000. 15 minutes remain in the 9th level and players will be on a 1 hour dinner break at the completion of this level. Mike Farris is the first to cross 100,000 in event 15. We are more than half way through level 8 here in Event 15 and leading the way is Mike Farris with 105,000. 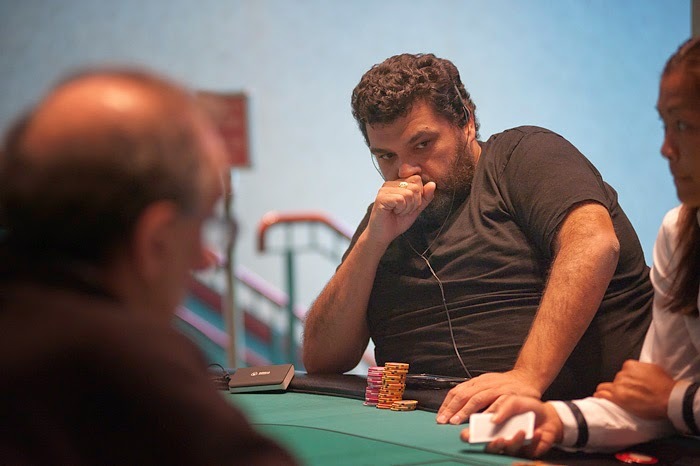 Farris has more than $175,000 in lifetime earnings with his biggest cash being here at Foxwoods when he took 2nd in the 2008 Foxwoods Poker Classic for $65,000. Players will be on a 60 minute dinner break at the end of level 9. At the end of the day it was Stewart Kaplan who took home a brand new Seiko watch, a Foxwood's globe and $9,420! Stewart came into the day 4th in chips and after winning a massive three way all in, he took the chip lead and coasted into first. "I didn't even know this tournament was going on. I came down for the week to play the $2,700 Main Event and noticed this tournament yesterday morning. 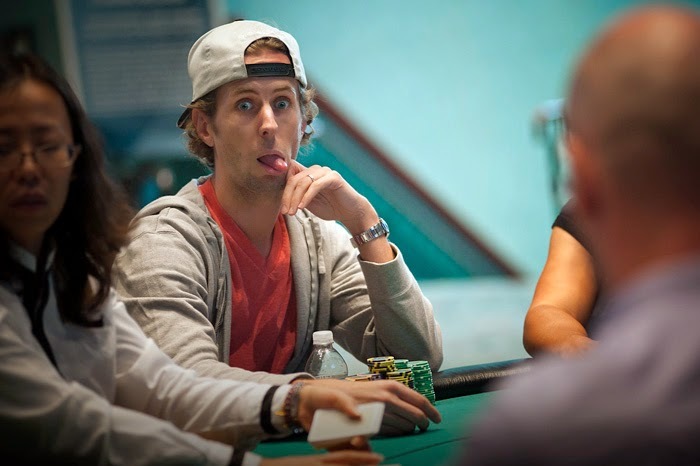 I've never played six-max live before but I used to love playing it online so I figured I'd take a shot." Shot well taken! 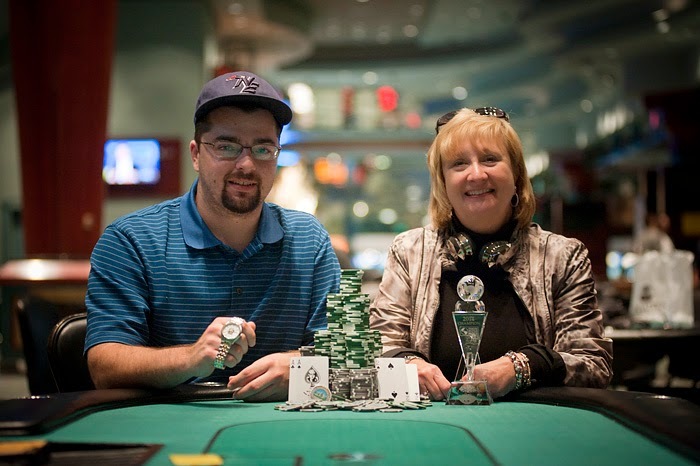 Congratulations to all of our players who took home money in event 14! 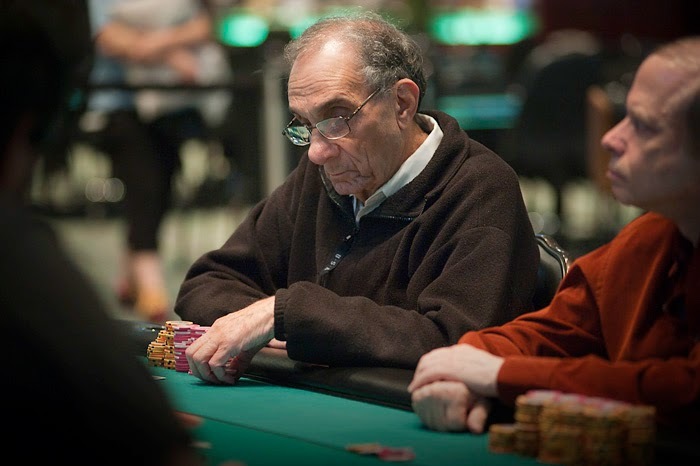 On a board reading [9h][6s][5c] Martin pushed out a bet of 250,000, but was quickly put to the test when Steward Kaplan announced all in and would put Martins tournament life at risk. Martin announced call and the hands were tabled. Kaplan faded both an ace and an 8 to send Martin to the rail in 2nd place. Martin will take home $6,302 for his 2nd place finish. Walking through the field we noticed a few more pros that have joined us on Day 1 of the $1,100. George Ferreira got the last of his chips in holding [Kc][Jh] against the [Ac][10h] of Martin and could not improve. He will take home $4,138 for his 3rd place finish. 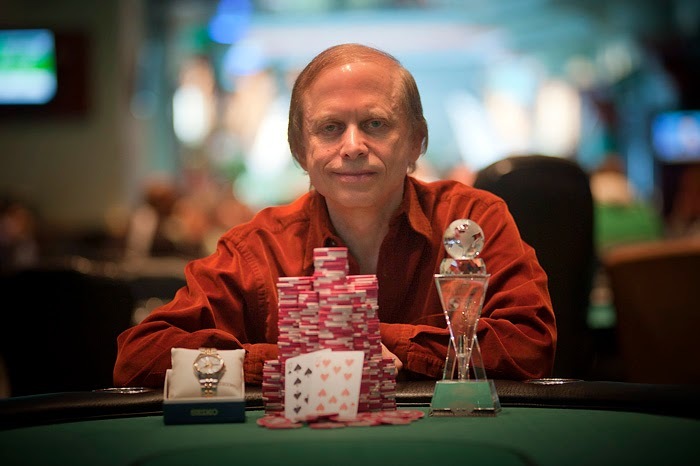 Stewart Kaplan pushed in two towers of red 5,000 chips on a board reading [7c][8d][Ks][Qd][2h] totaling a bet of 200,000. 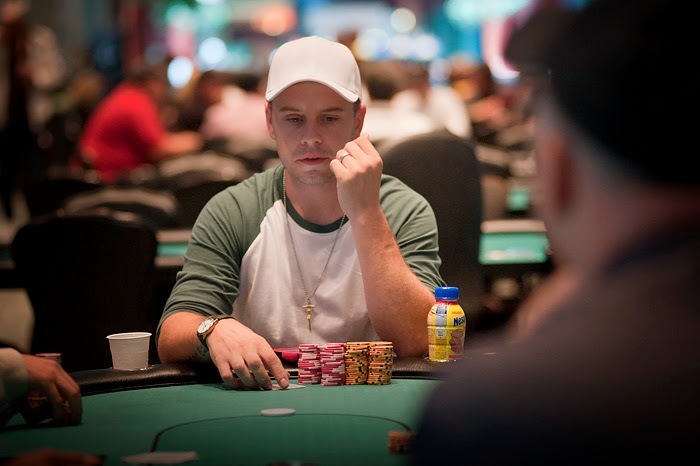 Mathew Martin wasted no time in announcing all in for an additional 260,000 over Kaplan's bet. Kaplan put his hand on his chin as he pondered what to do, but eventually slid his cards into the muck. He smiled and said "nice hand" as Martin tabled [7d][9h] for flopped bottom pair that he merged into a bluff. Martin now sits with over 800,000 and Kaplan drops to around 900,000. Stewart Kaplan leads the final three. Kaplan is on fire! He has upped his aggression three handed and its paying off as he now sits with over 1,000,000 in chips while both of his opponents sit with a little over 400,000. Players are now on their first break of the day. So far 75 players have registered in today's $1,100 tournament. Registration/reentry is still open and will remain open until the end of level 8! 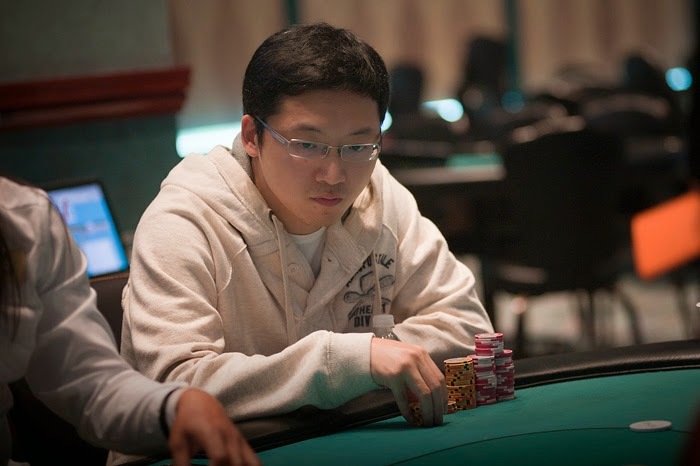 We say good bye to Meng Lu in 4th place when his [Ad][Jh] couldn't improve against the [Qc][Qs] of George Ferreira. We are now down to our final three who have all secured at least $4,138. Jack D'Agostino opened the action to 60,000 from under the gun. Kaplan folded and the action was on George Ferreira who announced all in for his last 360,000. Action folded to D'Agostino who called off his last 70,000 and we were headed to the river. D'Agostino looked destined for a double up when the dealer spread the [3s][As][7h] flop and was still ahead on the [7c] turn. Ferriera threw his hands up in frustration but that would quickly turn into a fist pump when he saw the [Kh] spike on the river. D'Agostino will take home $2,476 for his 5th place finish. We say goodbye to Paul Brauer in 6th place. Brauer will take home $1,907 for his run here in event 14. 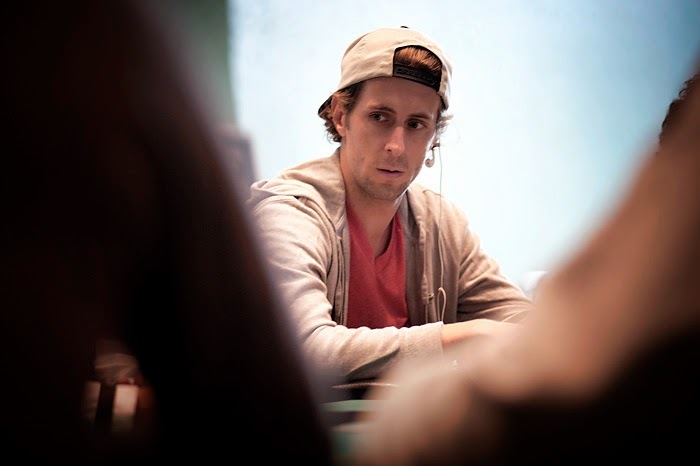 The remaining 5 players are guaranteed $2,476. Event 14: Double Elimination and We're Down to the Final Table of 6! There was a three way all in at the feature table. Play has started in event 16. This event is a 7-card stud format and will be playing down to a winner today. Registration is open until the end of level 3. Shuffle up and deal! 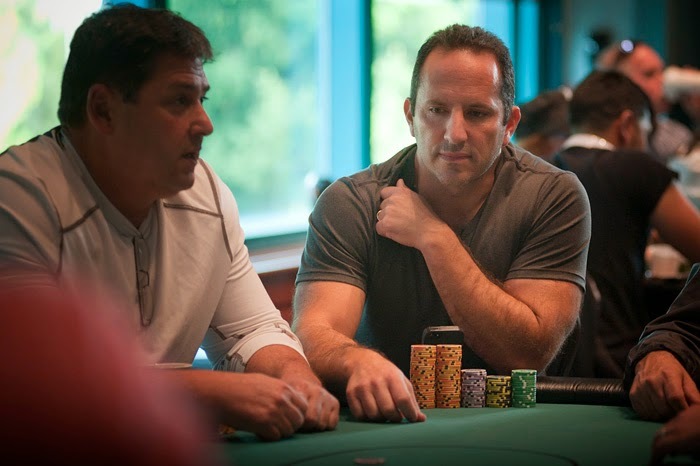 Event 14: Play Resumes on Day 2! Event 15: $1,100 NLH is Underway! We are officially underway in event 15. This $1,100 NLH event has a guaranteed prize pool of $75,000. Players have taken their seats and the dealers are currently dealing their first hand. 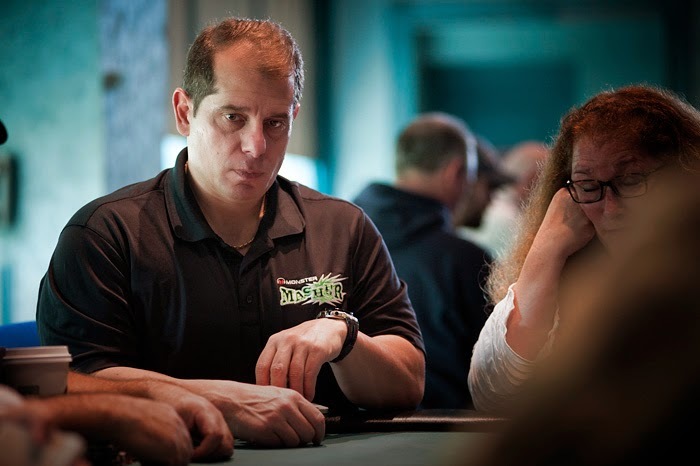 We have already seen quite a few familiar faces take their seats including event 12 winner Kim Schinco and poker pro Spiro Mitrokostas. Play is scheduled for 15 levels. We are about to get underway on a long day here at Foxwoods. With 2 events starting today and the conclusion of the 6-max there should be no shortage of action! Lets take a look at what is on the schedule for today. Players are starting to take their seats in Event 15, the $1,100 NLH. 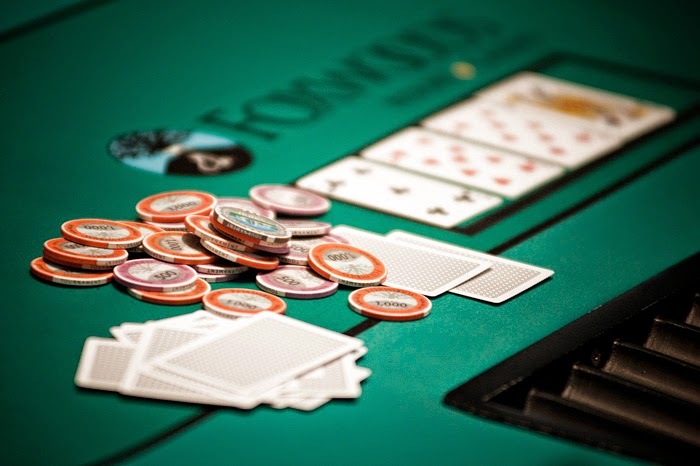 Players will start with 20,000 in chips and have through the end of level 8 to register and reenter. They are scheduled to play 15 levels today. At 12:00 pm we kick off the $300 7-Card Stud event. Players will be starting with 10,000 in chips and are scheduled to play down to a winner today. Registration is open until the end of the third level and players will get a dinner break at the end of level 12. 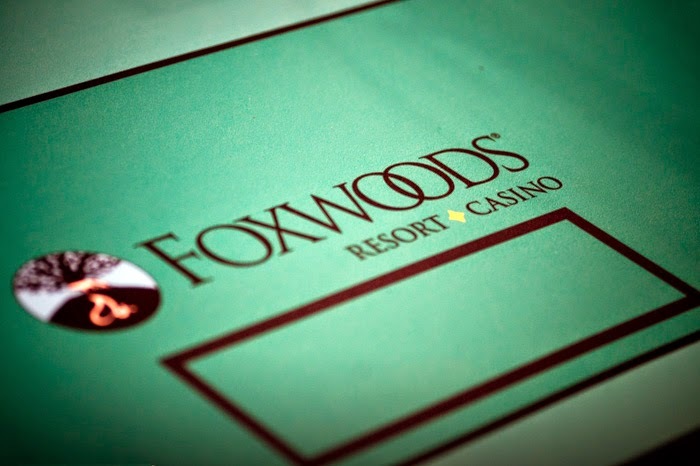 Follow along with all the updates from today's action at www.foxwoodspoker.com ! Play has concluded for the night in the $400 six-max. 8 players return tomorrow morning and we will be playing down to a winner! After the elimination of Ralph Macri in third, Kim Schinco and Pete Wagner paused the clock to talk over a deal. After a few minutes of conversing they decided to chop the remaining money right down the middle with Kim taking home a Foxwood's globe and Pete taking home a Foxwood's WPF Seiko watch. Congratulations to both players! The run of Ralph Macri has come to the end. 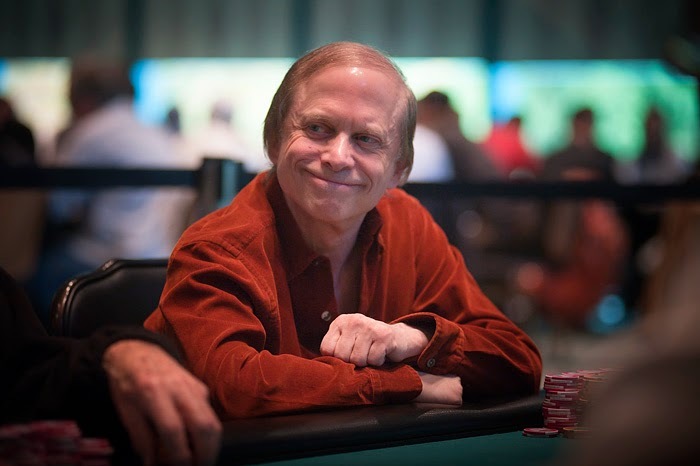 After losing most of his chips to Kim Schinco, Ralph shoved all in from the small blind with [Kd][9h] and ran into the [Ac][As] of Pete Wagner. Macri takes home $12,074 for his deep run. Schinco puts Wagner in the cage with a huge raise on the river. Kim Schinco cannot be tamed. 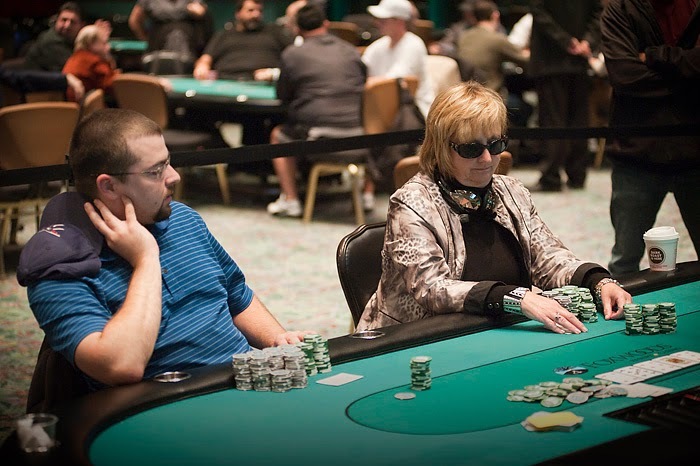 She has taken two huge pots off of both Macri and Wagner and now holds over 5,100,000 chips. Macri is down to 900,000 and Wagner is sitting around 1,700,000. Pete Wagner opened action on the button to 250,000 and Schinco got out of the way in the small blind. 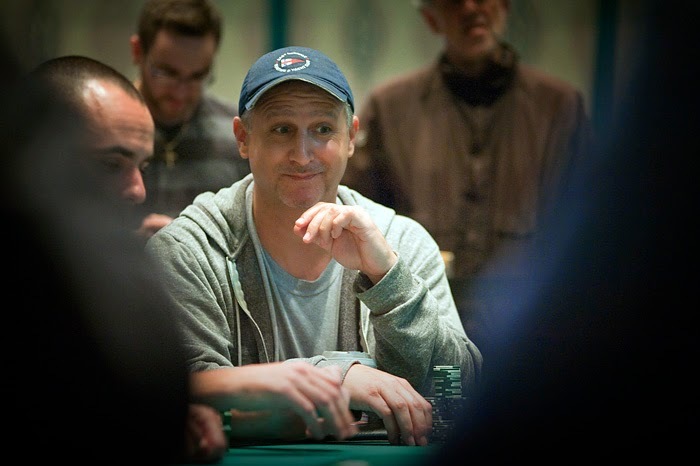 Ralph Macri announced he was all in for 1,900,000. The clock read 1:45 remaining in level 31. "I'm probably going to use the rest of this time" said Wagner as both of his table mates told him to take as much time as needed. He kept telling himself that Macri has to have sevens, eights, or nines but eventually would fold [Ac][Qs] face up. "That's a huge lay down, but I was going to get luck on you" Macri said with a smile as he tabled [Ad][3d]. Players are back from their break and the blinds are now 60,000/120,000 with a 20,000 ante. All players are sitting with right around 2,000,000 in chips.